Welcome to the Treasure Chest Of Resources! This series of e-books is designed to assist all the parents of children with special needs, chronic illness and learning challenges. It is hard enough for any parent these days to care for a healthy child however, when the child needs special help to live their daily lives; it is one mountain after another for their parents, and endless yards of red tape and regulations. Our goal is to cut through all of these – giving you answers to your questions all in one area, no more spending hours surfing to find answers. June 14th, 1997 was the beginning of a new journey in my life. My son Patrick was born that night. With 20 minutes notice, the Doctors decided it was best to take him that night. He entered the world, and the journey began. Within 3 days, Patrick`s first surgery happened. Neurosurgeons removed an Occipital Encephelacele. Within a few days of that, he developed hydrocephalus and the next surgery came, putting in a VP Shunt. After becoming very irritable and lethargic with projectile vomiting, again, within 6 weeks, another surgery, replacing the shunt, as it had become blocked and was malfunctioning. That same day, we were to take him to London Children’s Hospital Emergency, his father had fallen off some scaffold at work and severely broke his wrist. With him as well, being transported to London for surgery, it was the start of a busy, stressful week. This gives you a bit of insight as to how this wonderful, yes, I said wonderful, journey began. To go into every detailed event of our lives would take a while. I will tell you though, as difficult as things get sometimes, as frustrating as things can be, I wouldn’t change it for the world. The love, the positive and proud, out-weigh all of that, ten-fold. Raising Patrick has taken me down many roads, all discovering and learning more about him and about myself. For me to understand and deal with certain things, I need to have and know information. So with that, came another part or aspect of my life. Finding out as much as I could/can about things my son was going and does go through. I am the biggest advocate for my son and over the years, I have become more than just Mom. We all know that Mom’s have many titles. I’m proud of all of mine. Over the years, I have helped other families in their struggles by sharing information and resources as well as advocating with/for them and their families. 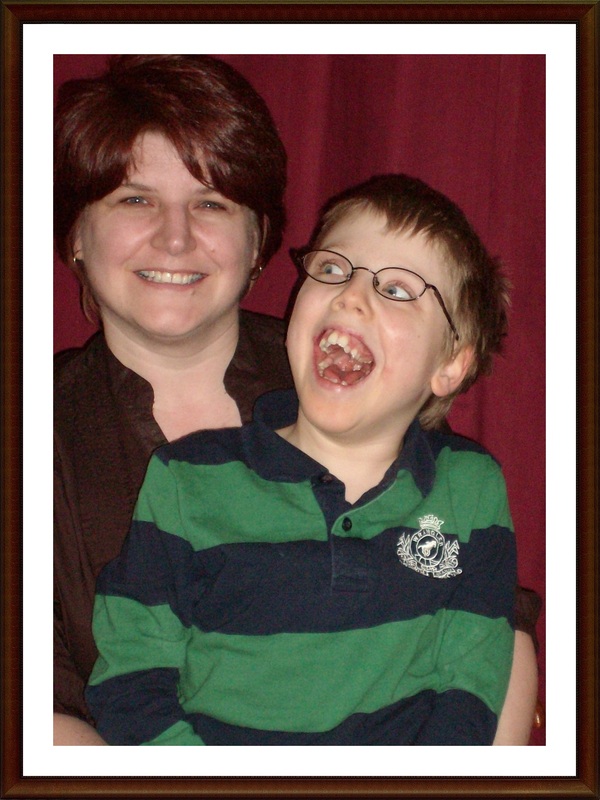 Having a special needs child and being passionate about the needs of him and others in similar circumstances, I have a wealth of experience, knowledge and understanding of different situations that can/may arise within families. My vision is to become the resource and communication voice for persons with special needs and their families. For more information on Renée, please visit her website and/or blog.